Too cheap to buy Halloween decorations? Fear not! 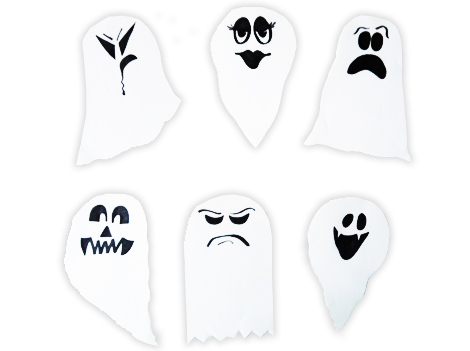 Just grab some white paper, black markers, scissors and some tape to spook up your crib in no time. Draw a freaky face with black marker onto the top third of a white sheet of paper. You can make up your own face, or do a web search for “ghost faces” and use the results as reference. 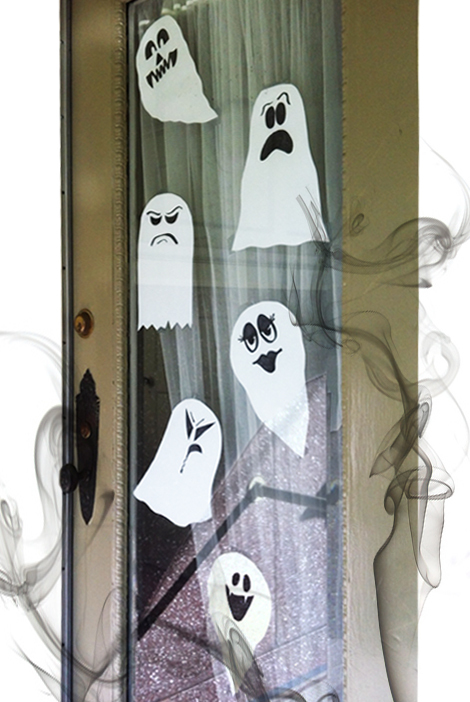 Once satisfied with your creation, tape the ghosts to the inside of your apartment’s door or windows. Though cheap and easy, these DIY puppies are sure to give a fright to all pedestrian passerbys!